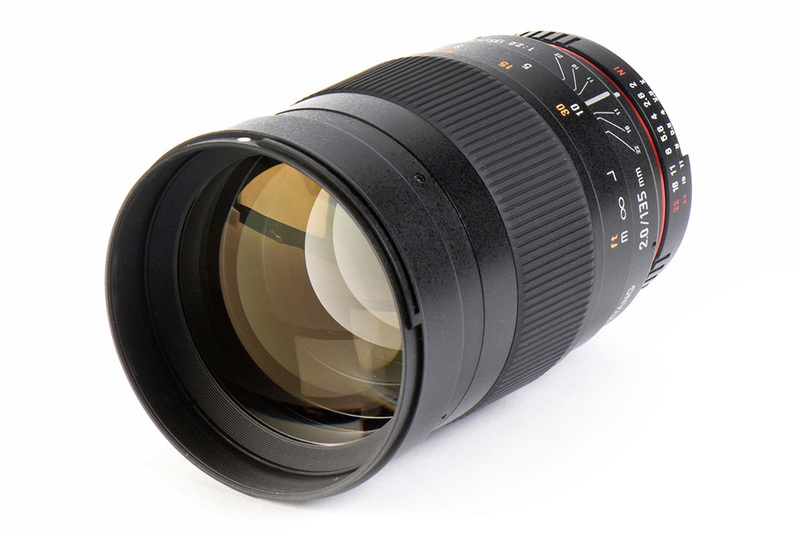 Samyang has been making waves with its latest line of AF lenses, but is primarily known for its range of incredibly sharp, manual focus optics. At 135mm, this lens is firmly in portrait territory, and its wide f/2 aperture returns seriously smooth out-of-focus areas, or bokeh, ideal for creating separation between your subject and the background. The lightweight but tough body comprises a mix of metallic barrel and high-quality plastics as well as a large rubber focusing ring and manual aperture ring. This is ideal since there are no electronic components and everything must be controlled manually. Both rings rotate easily and smoothly, making this a joy to use. Importantly, this lens is incredibly sharp – f/2 returns amazing results, and the corners catch up by f/5.6. The distortion and aberration are also well controlled, though there’s slight vignetting at wider apertures. Dimensions vary between camera mounts, so the size and weight figure given is an average. Find out more at the Samyang website.